The Dominican Republic's north coast is very popular with tourists and adventure seekers of all kinds. A trip to the Amber Coast will have visitors experience a unique mix of local Dominican flavour and exciting activities for the whole family. There are plenty of sights on the Amber Coast, from attractions like the Amber Museum in Puerto Plata, showcasing the precious resources which the Dominican Republic holds, to the unique colonial architecture which the capital displays in Puerto Plata, and of course the splendour of the beautiful beaches which adorn the coast. 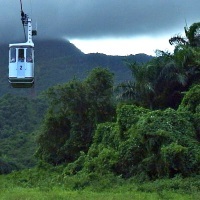 But the Amber Coast is not all about beautiful beaches and amazing coastlines, just a few kilometres inland, visitors can experience the jungle covered mountain of Mount Isabel de Torres, which can be climbed with a guide or ascended by the cableway, which boasts amazing views of the city of Puerto Plata below and the north coast beyond. 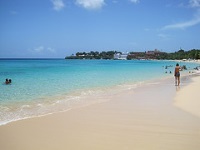 Excursions from the capital can include a visit to the Samana Peninsula, where visitors can relax in a more remote area, reminiscent of a lost beach paradise, or one can take a festive Dominican safari through the less touristy areas of the island, with visitors being escorted through gorgeous landscapes aboard a colourful and quirky safari-style vehicle. 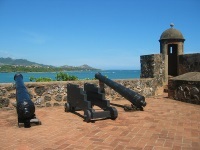 There are also plenty of options for adventure activities available on the north coast, with most resorts catering for activities such as beach horseback rides, jet skiing, diving and cultural tours of the city and surrounds, stopping at great sights, such as the old Spanish colonial fort of San Filipe.